4 years ago, I was tipped off by Richer Guy as to a new gelato spot named Bella. I didn't think much about it as I planned to meet him there after dinner at the old Miku location (now Chewies) on Hastings. Unbeknownst to me, Bella was no ordinary gelato store. 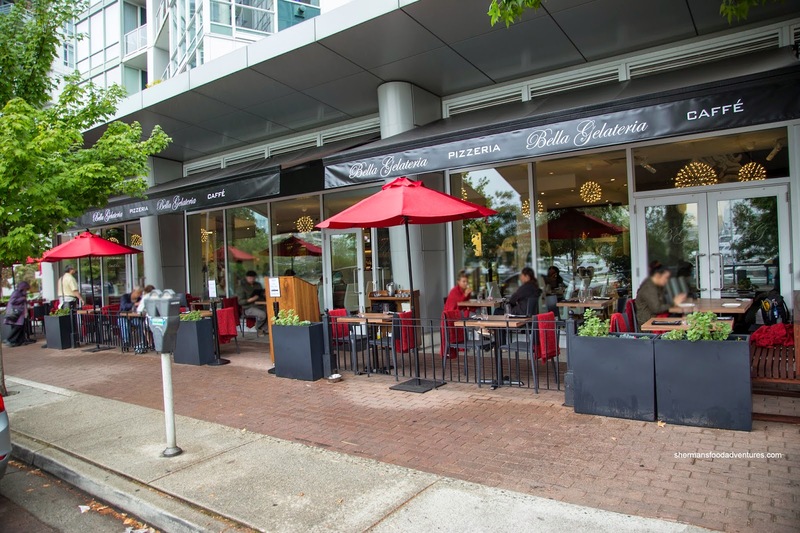 Rather, it was the brainchild of passionate owner and gelato master James Coleridge. 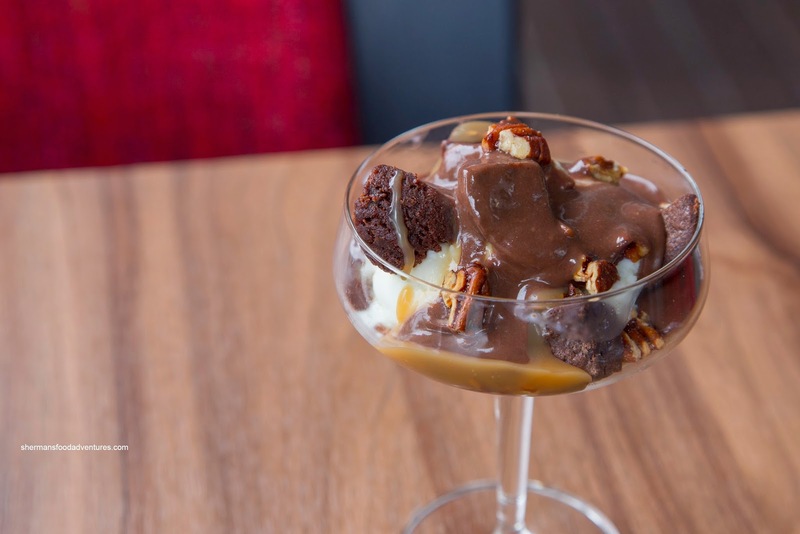 Fast forward to the present, a second location is now open in Yaletown with a bigger mandate - offering up unique desserts and beverages based on their gelato. Furthermore, Neapolitan pizza is added to the mix. I was invited to try it out and I enlisted the help of dessert aficionado, Whipping Girl. 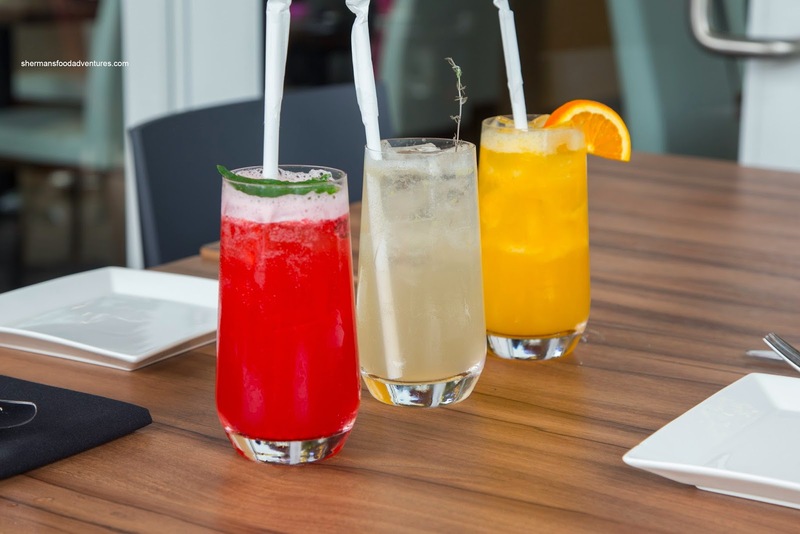 To start things off, we were treated to 3 house-made sodas (left-to-right) including Raspberry, Lemon Thyme and Orange-Vanilla. Suffice to say, we loved the latter due to its resemblance to a Creamsicle. It was smooth, not sweet, aromatic and lightly citrusy. The lemon thyme was refreshing and light with a nice tang accented by a minute hint of thyme. With a big whiff of basil, the raspberry exhibited more body, yet was still light. 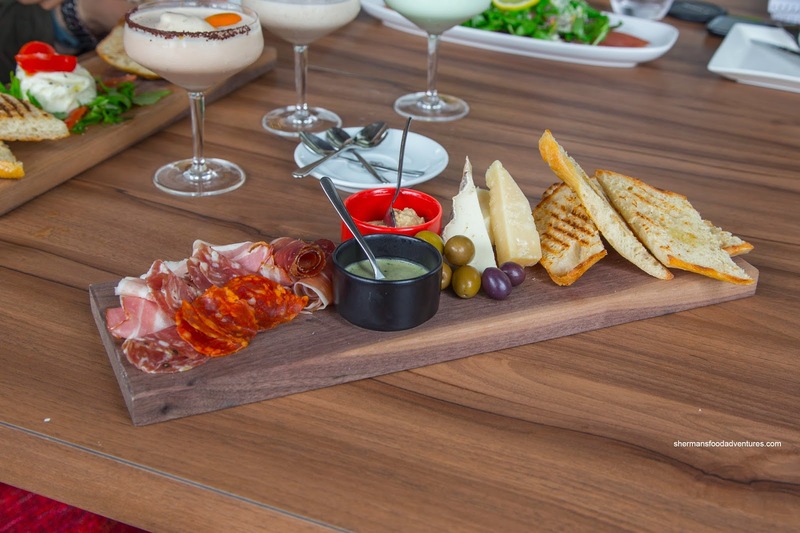 Onto some food, we sampled the Antipasto consisting of speck, napoli salami, prosciutto, eggplant garlic spread, anchovy cream, olives, Fior di Latte, Taleggio, Parmigiano-Reggiano and grilled house-made bread. This was a nice selection of items which was highlighted by the flavourful spreads. I particularly liked the anchovy cream as it was salty with a background bite. Onto 2 more appie, we had the Burrata Orginale with local heirloom tomatoes, argula, olive oil and sea salt with grilled house-made bread. 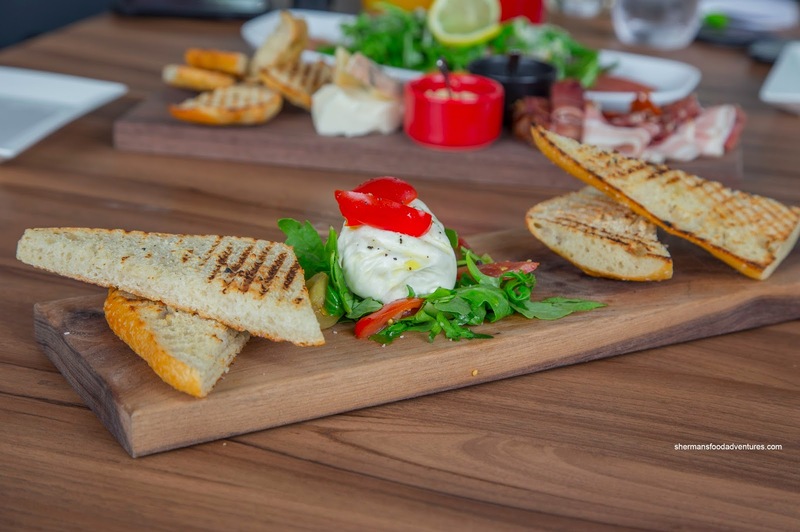 We liked the creamy and stringy texture of the fresh burrata where it was salted quite aggressively. I personally didn't mind it, but Whipping Girl thought it might've been too salty. As for the bread, it was crusty and chewy with a definite firmness. The dough was nicely salted though where it had a good nutty flavour on its own. 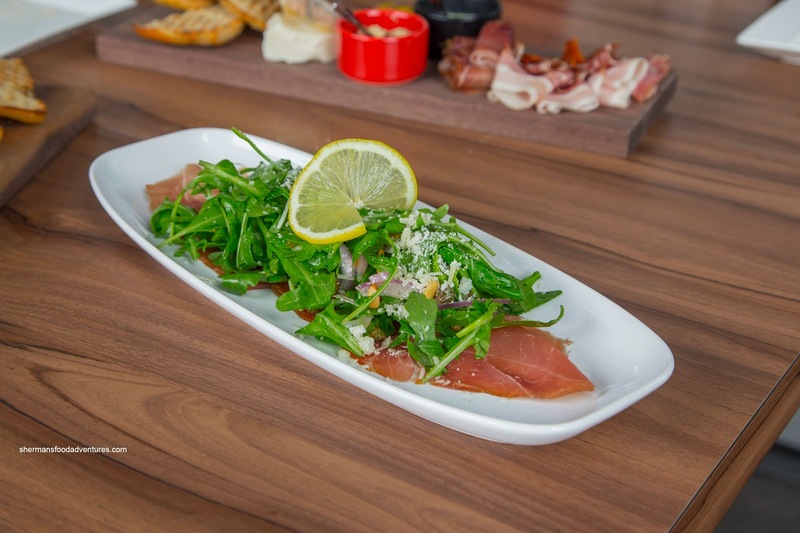 Lastly, we tried the Prosciutto San Daniele topped by arugula, red onion, capers and pine nuts tossed in lemon vinaigrette with Parmesan shavings. The acidity in the vinaigrette was a nice counterbalance to the salty prosciutto. However, the salt content in the salad was evident from the capers and Parmesan. Hence, the dish was fairly salty as a whole. Moving onto a Bella original, we sampled their Gelatinis including (left-to-right) the Negroni, Texas Grind and Buko Bird. The Negroni consisted of gin, Campari, & Italian vermouth with creamy Earl Grey Tea Gelato & caramelized fresh orange peel oils. For us, this one was the most alcoholic tasting. 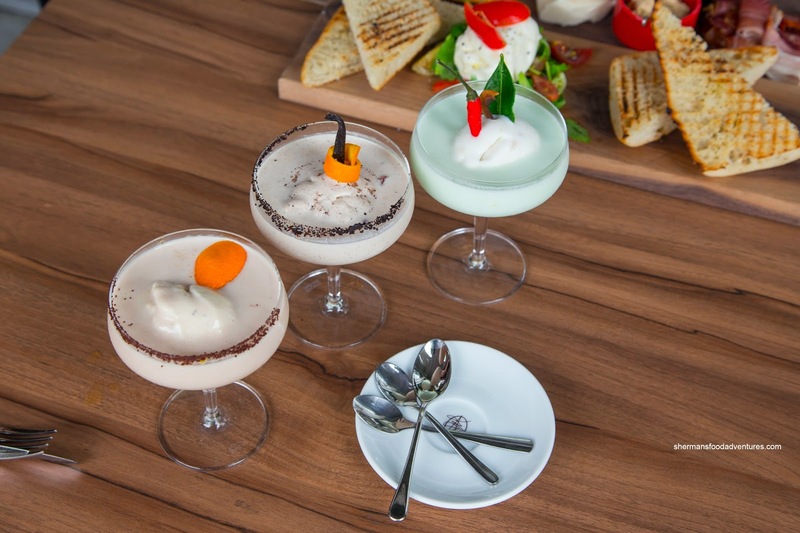 These were essentially boozy milkshakes but with a "scoop" of gelato in the middle of the drink. The strategy was to take a small spoonful first before drinking, otherwise, it would be too strong. For us, we liked the Texas Grind the most due to the coffee and pecan, vanilla & sour cherry gelato (that added a certain sweet tartness). 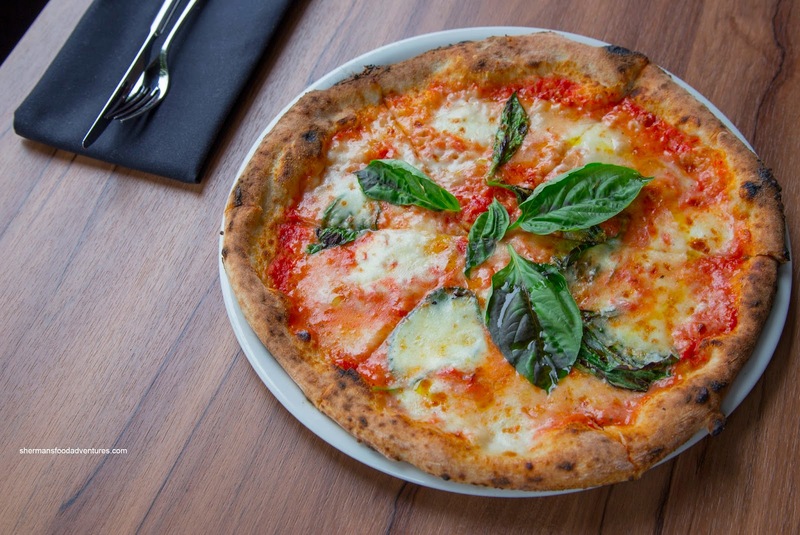 Our first pizza was the classic Margherita with San Marzano (D.O.P.) tomatoes, fior di latte, Parmigiano-Reggiano, EVOO, & fresh basil. We thought the edge of the crust exhibited enough nutty leoparding while the middle was softer. It was properly salted where it had enough impact on its own. Although it wasn't wet per se, the middle was somewhat spongy. As for the tomato sauce, it was mild, but did exhibit a slight tanginess. Off to 2 more pizzas, we had the Capriciossa and Completa. The Capriciossa was comprised of San Marzano (D.O.P. 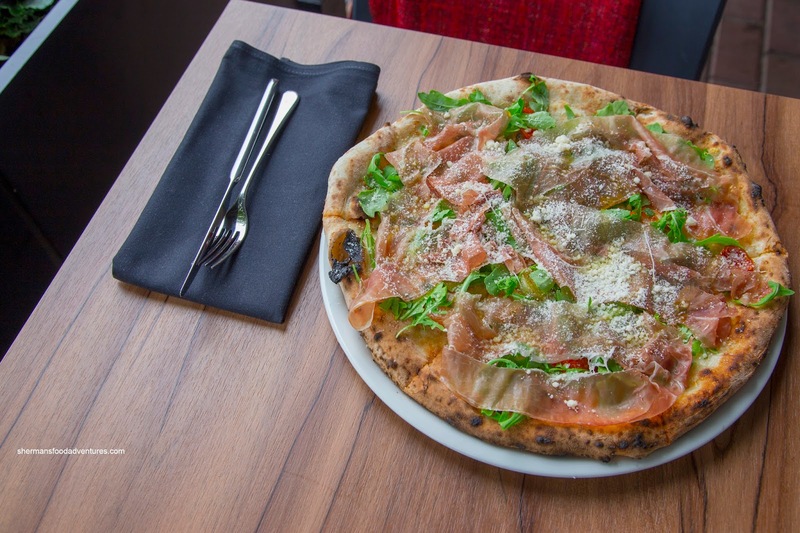 *) tomatoes, fior di latte, prosciutto cotto, mushrooms, artichoke, EVOO, fresh basil, & Parmigiano-Reggiano. We liked this pizza for its combination of flavours ranging from the tangy artichokes, woodsy mushrooms and mildly salty prosciutto cotto. The taste was balanced and appealing. Naturally, with more ingredients, the middle of the crust was more wet. As for the Completa, it was a concoction of fior di latte, prosciutto crudo, arugula, Parmigiano-Reggiano, & EVOO. Of course, without any tomato sauce, the crust was chewier and more dry. The prosciutto was all the flavour that was needed as the bursts of saltiness was brought down a few notches with the arugula. 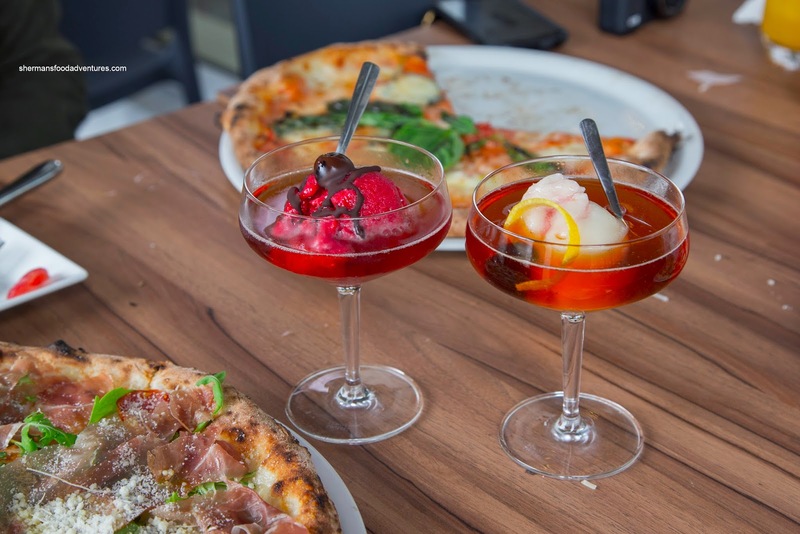 With 2 more drinks, we tried the Raspberry Manhattan Isola and the Lemon Pimm's Isola. We thought the latter was the lighter of the two being almost refreshing despite the alcohol. It was made of bright lemon sorbetto in a chilled blend of Pimm’s Number 1 Cup & ginger liqueur stirred with cucumber & mint then topped with a measure of Fentiman’s Ginger Beer. Consisting of whiskey & Italian vermouth with raspberry sorbetto infused with a dash of dark chocolate & dark chocolate bitters completed with a kirsch-soaked cherry, the Raspberry Manhattan was a much more luxurious drink. This went down much stronger with only a touch of sweetness. 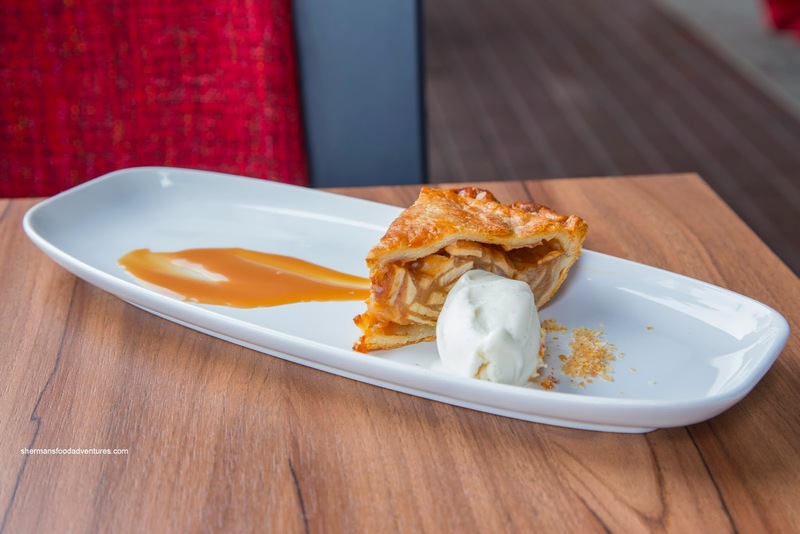 Off to the desserts, we had the Torta Gelato featuring Pie Hole's fantastic apple pie. The crust was flaky, firmly crispy and buttery. Inside, the neatly layered apples had the right combination of tart and sweetness. The addition of vanilla gelato was the veritable icing on the pie. Of course there were more desserts including an interesting deconstructed Tiramisu made of espresso ganache layered between homemade lady finger sponge cake & brushed with Amaretto espresso sauce. 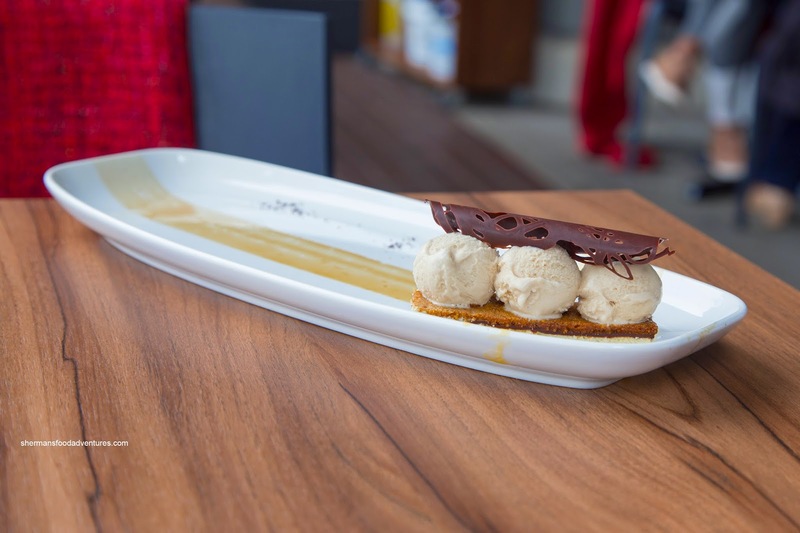 It was finished with tiramisu gelato & garnished with spiced coffee grinds. This ate like a tiramisu with the definite taste of rum as well as a mild hint of coffee. It wasn't especially sweet even with the 3 mini scoops of gelato. Next up was The Toe Curler featuring fior di latte gelato topped with brownies, home made candied pecans and smothered with caramel & dark chocolate sauce. This was a very sweet concoction due to the amount of impactful ingredients. I would've personally liked to see less sauce, but then again, Whipping Girl liked it. The brownies were chocolatey, sweet and chewy while the pecans effectively stole the show. They were super light and crispy with only a hint of sugar. 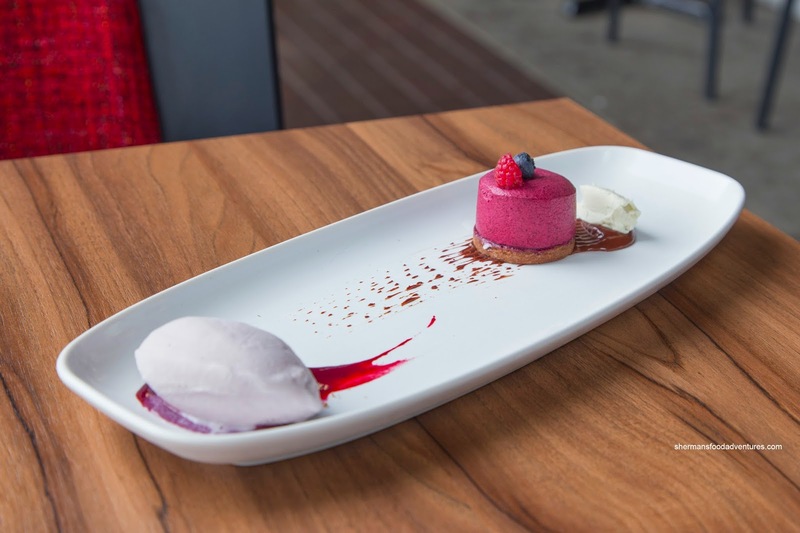 Lastly, we sampled the 2nd place dessert at the 2014 Vancouver International Wine Festival Vintner’s Brunch Wine and Food Pairing Competition - Vintner's Choice. This was comprised of fonseca port wine gelato with cassis port mousse, stilton blue cheesecake, port ganache and raspberry port sauce. Although the port gelato was quite mild, the port sauce was quite tannic. As for the mousse, it exhibited a sweet and tangy taste that was nicely accented by the smooth and mildly sharp Stilton. I personally liked this dessert the most because it wasn't overly sweet and displayed unfamiliar flavours compared to the others. Overall, we thought our meal at Bella was pleasant. Some of the items (particularly the gelatinis) were definitely "out there" but you can't accuse them of being boring. 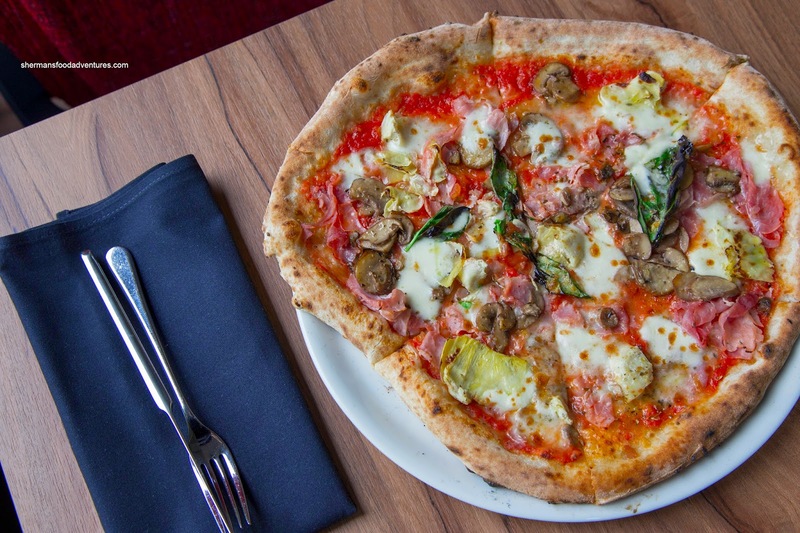 Although the Neapolitan pizza wouldn't be confused with the best in the city, it held its own. However, the gelato still continues to the my favourite in Vancouver and I liked how the pastry chef incorporated it into her dessert creations.